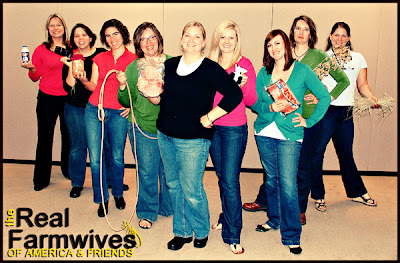 The Real Farmwives of America and Friends offers a glimpse inside the world of growing up and living on the family farm. These women are farm girls, farmwives, moms, daughters, and aunts that either live on the farm, grew up on the farm or work with farmers everyday. Most importantly they are friends that have the bond of the farm among other things. Follow along with their blogs as they tell you about their hectic yet amazing lives on the farm. From turkey farmers to pig farmers to grain farmers, they can tell you about it all and answer any questions you might have about the food you eat. Check out The Real Farmwives of America & Friends Facebook Page for our quarterly joint posts as well as everyday posts from all our blogs. Heather, the sweet tea addicted, full-time working soccer mom of 3, blogs over at 3 Kids and Lots of Pigs: Welcome to my pig pen. Although Heather works full-time off the farm, her passion is the family farm. Heather and The Farmer have been married for 10 years and raise corn, soybeans, and pigs with their 3 kids, Big Sissy, Bubby, and Little Sissy, and The Farmer’s parents. 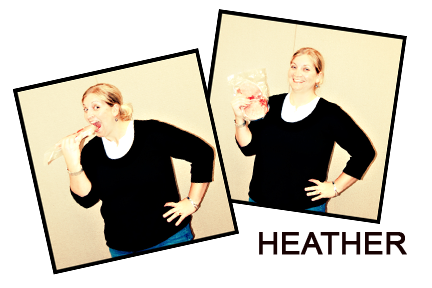 Although spare time is hard to find, Heather loves spending time with family and friends, cooking, sewing, crafting, and taking pictures. Amy, the music-lovin’, sweet tea drinkin’, stay-home mommy of 3 blogs over at Two Maids a Milking with her sister-in-law, Liz. 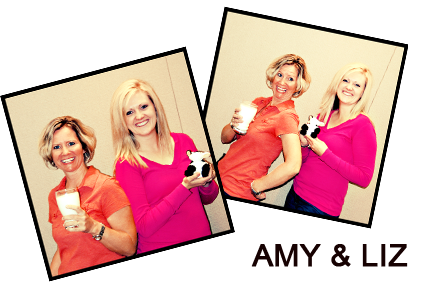 Although Amy’s priority is at home with her little ones, her passion is the 6th generation family dairy farm. Amy works to promote the farm and offer educational tours to thousands of visitors annually. Amy and her hub have been married for almost 11 years and love being on the family dairy farm with their 3 kids, Miss Bug, the Wild One and the Little Man. 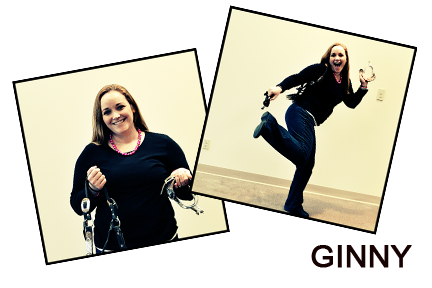 Amy also enjoys sunshine, laughing, traveling and doing anything outside! 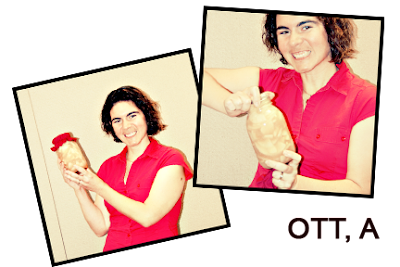 Liz is the Diet Dr Pepper chugging, cake baking, co-author of Two Maids a Milking with fellow family out-law, Amy. Liz is a newlywed 20 something navigating the world of friend’s bridal and baby showers. She works off the farm but enjoys feeding baby calves with her full-time farming hubby on weekends. Jane is a kid-wrangling, scrapbook loving, rodeo-running, on-the-go, Mac-addict working momma of three who depends on chocolate and caffeine to make it through the day. She lives on the north central Ohio farm where she grew up, and her family owns and operates a rodeo stock contracting business raising bucking horses and bulls. 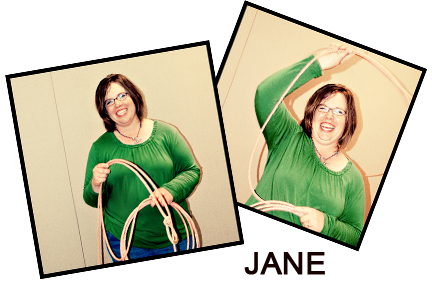 Jane keeps busy trying to manage her public relations job and educational outreach programs, her three adorable rodeo-loving cowkids, a husband, pain-in-the-rear dog, horses and an ever-expanding flock of sheep. Stop by and pull up a seat and grab a glimpse of life in the saddle with a working mama of three little cowpokes in training. 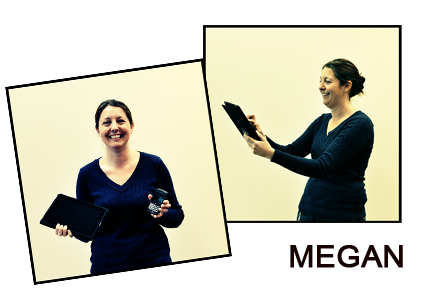 Meggie is a fun-loving, story-telling, Dt. Mt Dew drinking, Mary Kay wearin' mom of one sweet baby RayRay who blogs about life on the farm over at Hoosier Farm Babe Tell Tails. 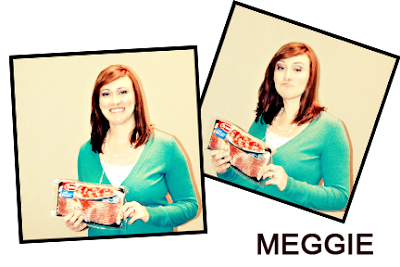 Meggie keeps very busy as a full-time workin', new mom and wife to her hubby of five years - Big D. Together Big D and Meggie own and operate a hog and grain farm in central Indiana. While being a new mom is certainly a full-time job in itself, Meggie works off the farm at an agricultural newspaper, where she focuses on livestock issues such as animal welfare and bioenergy. Born and raised on a little dairy farm in Ohio, she has a home-grown passion for agriculture, particularly big brown-eyed Jersey cows. And well horses, shopping and Mary Kay cosmetics rank pretty high too! While living on a farm may not seem so glamourous, first-time momma Meggie does her best to put the fabulous in farming. Ott, A the gardner, canner, baker over at a Latte' with Ott, A. A frequent customer at Starbucks, this farm girl fasionista is just as comfortable back home on the family livestock and grain farm wearing work boots as she is wearing stilettos in a trendy store in downtown Indianapolis. She spends her time shopping, scrapbooking, decorating, collecting Longaberger baskets, wine tasting and hanging out with family and friends. Professionally she is the Director of Operations and Grants for the Indiana State Department of Agriculture and is author of the Ag Grant Guru blog. Married to her best friend and a fellow Boilermaker, (affectionately called Ott, E in this blog) the two spend their time together traveling and cheering for the Boilers. Denise (aka BigD) is a married, working mother of two. Her blog, Who Is the Grown Up?, began as a joint project between BigD and her 12 year-old daughter, LittleD, to chronicle their journey into the Teenage Years. While LittleD can hardly find time to post, after homework, chores, drama club, etc., BigD continues to blog as she tries to hold together a house full of raging hormones. 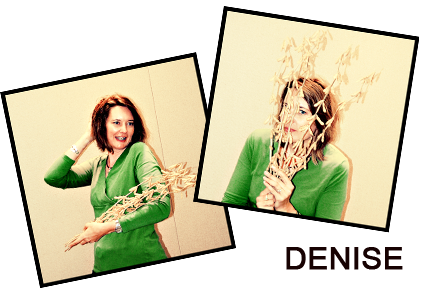 Denise’s connection to agriculture runs deep, having grown up on a farm. Those fond memories of a childhood on the farm is the reason the family lives outside of town on a little plot of land. LittleD and little sister BabyD get to experience many of the joys of farm life via 4H, their friends and neighbors, along with the field outback on which a neighbor raises corn or soybeans each year. Cris, the FREEZE-O-RAMA mama, blogs over at GOODEness Gracious: Cooking Up All Kinds of GOODe Things with a Side of Life! Professionally, Cris is a freelance writer, consultant and facilitator for various organizations, publications and companies. 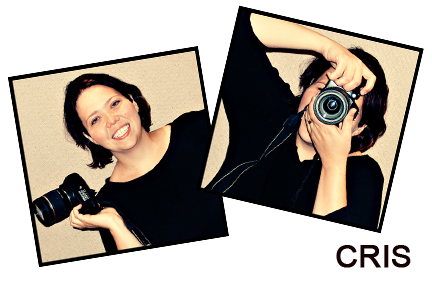 Personally, Cris enjoys photography, cooking, crafting and then blogging every minute of it! She has been married to her college sweetheart, Mike, for 13 years and they along with their 3 1/2 year-old, Miss Add, are living the GOODe life in the hills of Indiana. 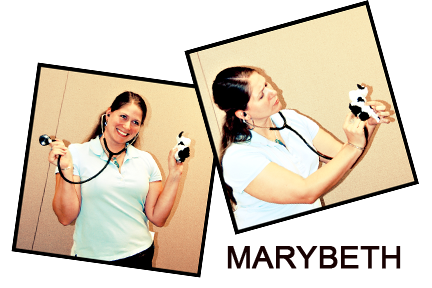 Marybeth is a large animal veterinarian, cow farmer, not-a-morning-person. Fighting the good fight to stay in a warm bed in the morning, she blogs at Alarm Clock Wars. Marybeth grew up in suburban New Jersey, and first came to Indiana for a residency in Large Animal Internal Medicine at Purdue University. She met a handsome southern Indiana farmer at Purdue, and, as they say, the rest is history! She married her farmer in 2009, and lives on a cattle farm where they raise registered Angus. In addition to being a farmwife (a title she never thought she’d have!) she’s trying to figure out what to do after being a professional student her entire adult life. 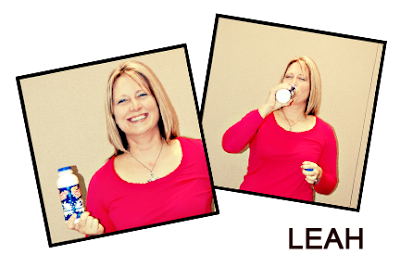 Leah is the caffeine addicted author of Beyer Beware: A Mother Running on Empty blog. She is a promoter of meat and lover of Jesus. Leah grew up on a small, and by small I mean less than 20 cows, dairy in the midwest. She married a farmer in a whirl wind romance after to moving to Indiana. 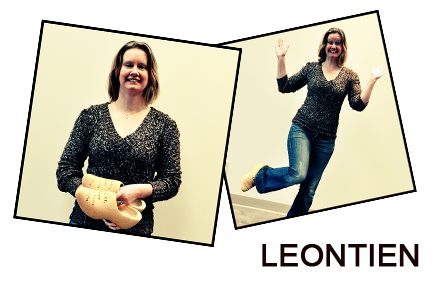 As a working mom of two, she is constantly trying to stay sane. Leah channels stress by cooking. She then is stressed out from all the mess she created. That’s why God gave us wine and beer. 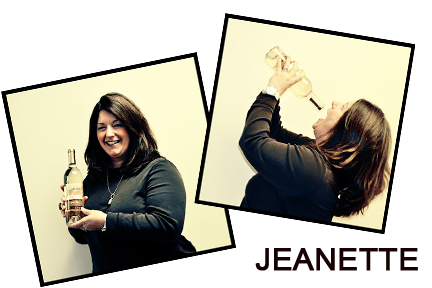 Jeanette is the resident wine expert and blogs at FenceRow To FenceRow, Taking out the Fences to Shove More Life In. Professionally, Jeanette is the Marketing Director for the Indiana Wine Grape Council, where she promotes Indiana’s growing wine industry. Jeanette and her husband have been married for 15 years and own and operate a hog and grain farm in north central Indiana. They are the proud parents of three kids (ages 6, 4 and a newborn) who love life on the farm. Jeanette enjoys running, being involved in her kids activities, MOPS, and serves on numerous boards for various agricultural organizations. Jen blogs over at Mess Hall to Bistro with her husband and four step children. Jen’s slight OCD tendencies leave her constantly toeing the line between sanity and outright craziness, but that leads to countless hours of fun, in the kitchen and out. Professionally, she works with Indiana Agriculture and Conservation. At home, she enjoys cooking, canning, and exploring Indiana’s tourism destinations with her family. Lana is a retired English teacher turned country mom/farmwife. She received a promotion this fall to tractor and combine driver, a step up from chuck wagon driver, a job she kept with all the others! 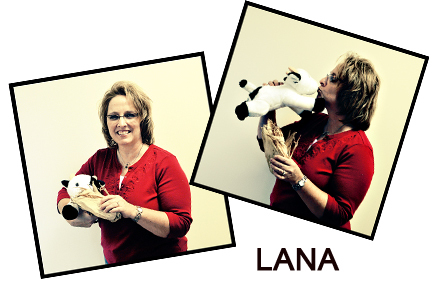 Personally, Lana enjoys photography, scrapbooking, cooking, crafting, and my newest love, BLOGGING!! She has been married to her sweetheart, Tall Guy, for 9 ½ years, and they along with their girls, six year old Bear and eight year old Tink, are living the wonderful life with their cattle between the corn and bean rows and down the windmill paths of Indiana. Ginny, the "Gin" in Gin and Juicy Juice is a working mom, trying to balance motherhood with a full time job and running a small farm with her husband. Ginny enjoys spending time with family, showing horses and shopping. While she would like to call herself a great cook...it is an experiment at best! Ginny is enjoying life with her sweet little girl and incredibly patient husband! Jennifer Campbell is a farm wife and mother of three amazing children, Casey, Emilou and Cole. She and her husband Chris operate a grain and livestock farm in Johnson County, just south of Indianapolis. 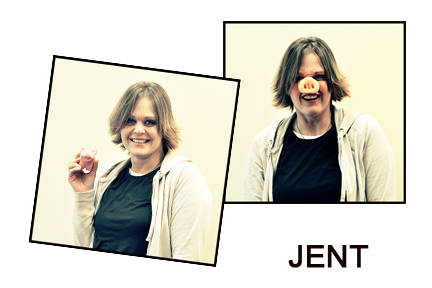 Jennifer, or Jent, grew up on a farm in Shelby County, and has always wanted to be involved with farming. When she is not chasing after her kids, making sure they are where they need to be at the right times and prepared for what they are doing, she can be found doing creative projects, taking pictures, baking cakes, washing a 4-H calf, or working on the farm, always ready at a moments notice to wash a hog barn, drive a tractor, make parts runs, or bring seed to the field. She loves her pop-up camper, watching her girls play softball and working with the small cow herd the family keeps (small enough to use names, not ID numbers). She has an awesome creative side, painting rooms, knitting, displaying pictures, making unique hand made decorations, and can operate several power tools, including a welder if need be, for her “art”, and doesn’t let details like dusting or checkbook balancing get in the way of her projects. She loves having company and can cook a great meal for them. She can tell if a sow is in heat, help you redecorate a room, or both if need be. A bottle of Boones Farm every now and then doesn’t hurt either. 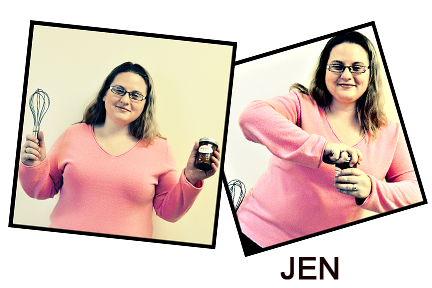 Jennifer is passionate about agriculture and family, and how they can be woven into one. Megan is a middle child (2nd of four girls) living in Middle America (Indiana to be exact) approaching middle age (35 is coming way too soon) always in the middle of doing something (finishing is the hard part). She lives in central Indiana, a few miles down the road from the farm where she grew up and where her parents still live and work. Megan enjoys her job promoting Indiana corn and soybean farmers and the amazing job they are doing to feed and fuel the world. Randomness with a side of family, food and fun travel defines her blog. Lauren is a city girl turned country, stay at home farmwife and mom, over at Four Ransom's and a Farm. Her and her 7th generation farmer of a husband live on their livestock (registered Simmental) and grain farm...along with their two young children, ages 3 and 1. 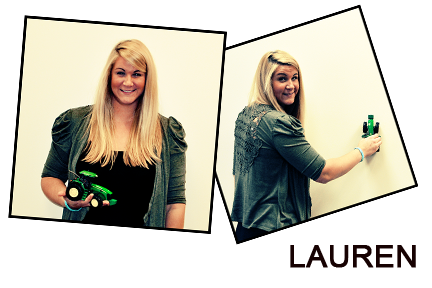 Back in 2008, Lauren originally started her blog as a way to keep family and friends up to date on family happenings. But switched gears in 2010 when she realized how intrigued and sometimes uninformed people can be when it comes to Agriculture. Through her blog, she hopes she can help shine more light on grain farming and livestock. And give people a peek into what its like raising country kids on a family farm. It isnt always easy, but man is worth it! The idea of raising her children inside and outside the cab of tractors, combines and semis just thrills her! Besides Lauren's passion for her kids and all things Agriculture, she enjoys photography, traveling, cooking, and being in the great outdoors as much as possible! 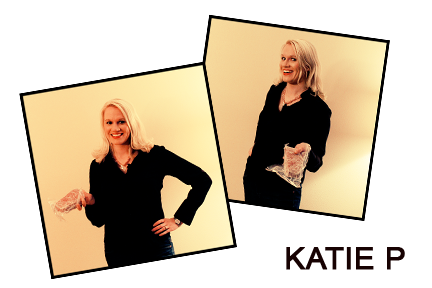 Katie is a full-time working from home mother to three kids and a wife. She met her husband on a July day on an airplane to Kansas City. She was single mom and had moved back to her family farm to focus on her son and marketing communications career. But God had another plan. It was a fairy tale romance that could be a Hallmark movie. They married 15 months later. In a flurry, her husband traded in corporate America for small town life on the North Dakota prairie. They moved, built a house and had two babies in the first two and half years of their marriage. Today her husband works alongside his father in a family-owned business. Katie no longer goes to an office every day but works seamlessly with modern technology from their house on the prairie. It may surprise you but indeed there is broadband internet on the prairie. She travels frequently as she works across North America with family farmers and agriculture organizations, a passion she has from her 5th generation North Dakota farming family. Katie's commute to the airport is 92 miles and she knows the drive well. They live 97 miles from a Starbucks...or any form of pop culture. While she once thought this lack of exposure to pop culture would be a disadvantage, she now absolutely loves their remote living. There isn't a stop light in their county or any nearby county. Her son is in a public school class of twenty students. They know their neighbors who are also their friends, business patrons, local farmers, owners of local businesses and attend church with them. Despite their remote location, their little town and region is economically strong. Other young families have moved to the area. North Dakota just happens to have the lowest unemployment in the nation with a billion dollar state surplus of money. Cost of living is remarkable low. Choosing to raise their family on the prairie makes life simple for their kids where they are immersed in rural life that doesn't have many of the hassles of the urban life. 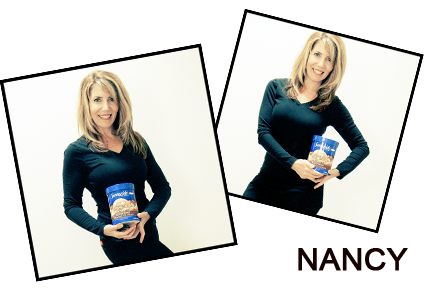 Nancy comes from a dairy farming family in Northern California. Their farm sits just 30 miles north of San Francisco where Nancy’s husband, Dominic is a 4th generation dairyman. From the time Dominic was five years old, he knew he wanted to continue on with his family’s legacy of dairy farming. After graduating college at Cal Poly, San Luis Obispo, he came back to the family farm and began running the dairy side by side, with his father. The dairy farm consists of 200+ Holstein milking cows. Nancy, being a dairy mom, raising their two kids, Bryce, 6 and Paige, 4, feels fortunate the kids will have the experience growing up as dairy kids. Nancy believes life on a dairy creates many opportunities. Both of the kids help with the calf feeding and Paige, helps Nancy to halter break some of the dairy calves, which they do for ‘fun’ and for the handling experience. Nancy is hopeful, that by her kids growing up on a dairy farm, they’ll learn life long skills, responsibility and establish a healthy work ethic for the future, in whatever they choose to do. Nancy spends her time driving her kids to and from preschool and the one-room school house they attend, where she also enjoys volunteering her time as well. She is also a 4-H cooking leader who loves to cook and teach using ‘real’ food. You can follow along with the story of Nancy’s family life on her blog, ‘The Wife of a Dairyman’.